Severe Weather season is in full swing in the US and that means lightning strikes are a common concern. 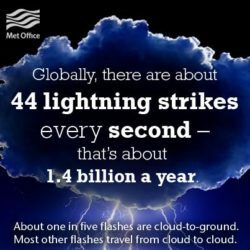 According to the UK Met Office, there are over 1.4 billion lightning strikes globally per year or around 44 per second. That’s a lot of lightning, and now it’s available for use with our new Lightning Strike API endpoints! As a value-added reseller of Earth Networks Total Lightning Network, we have been working hard to add lightning to our Weather API offerings. 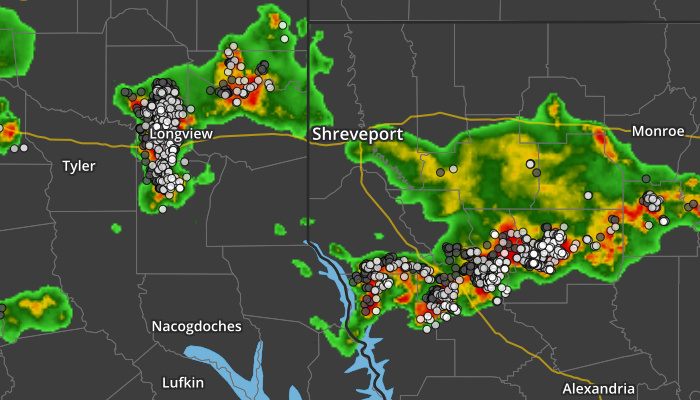 Last year, we added lightning strikes to the Aeris Maps Platform (AMP) and today we are announcing the addition of two lightning strike API endpoints within the Aeris Weather API. The lightning summary endpoint is available with all Aeris Weather API plans and the lightning strike endpoint is available with all Aeris Premium API plans with no additional costs. Now you can include lightning strike information within your web and mobile application without additional expense and custom contracts! The lightning strike endpoint provides information on individual lightning strikes/pulses, including location, polarity, amperage, pulse type and estimate height (for the cloud to cloud pulses). The lightning strike API defaults to providing cloud-to-ground strikes, while intracloud (cloud-to-cloud) pulse information is also available. This endpoint is available with our Aeris Weather API Premium subscriptions. Lightning queries can be made for a selected location, returning information on lightning strikes within a 25 mile (approximately 40km) radius for up to the past 5 minutes. "description":"No data was returned for the request." The new lightning summary endpoint is available with all Aeris API subscriptions and provides summary information on strikes that may have occurred over the past 5 minutes. This endpoint is perfect for providing information on the number of total strikes, as well as the break down of negative and positive strikes. The returned lightning/summary will include the total number of lightning strikes within 50 miles, along with the total number of negative vs positive polarity strikes. This information can be used as often times positive strikes can be stronger and more dangerous. Along with the new lightning strike API endpoints, we continue to offer our lightning-strike layers via the Aeris Mapping Platform (AMP). These layers are available for use by all AMP Premium subscribers. Start Using the Lightning Strike API Today! The new lightning strike endpoints are available for use today with your Aeris Weather API and AMP subscriptions. Not currently an Aeris Weather API user? Check out our Free Developer Trial or contact our accounts team for assistance.